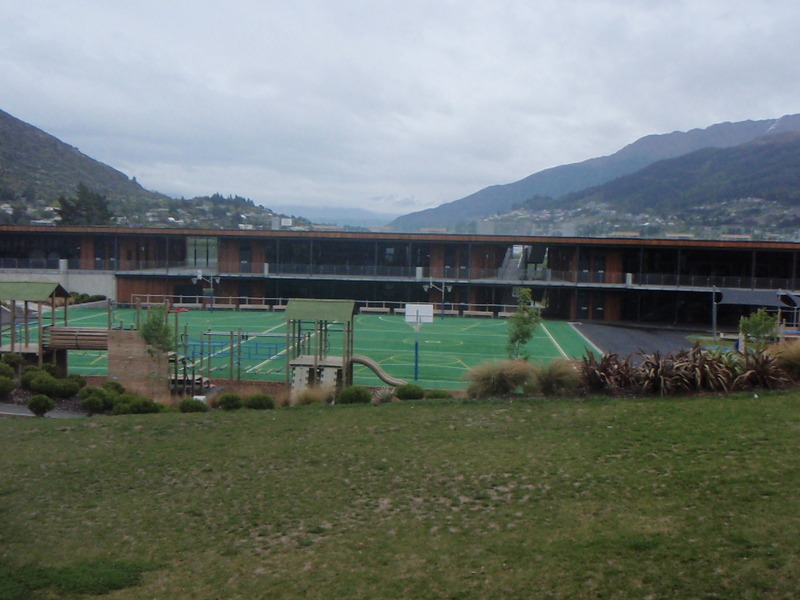 I had forgotten how beautiful Queenstown was until I ventured down over the weekend and stumbled upon the most beautiful school on the planet just a few blocks away from where I used to live. So join in me in a spot of edu-tourism blogging. 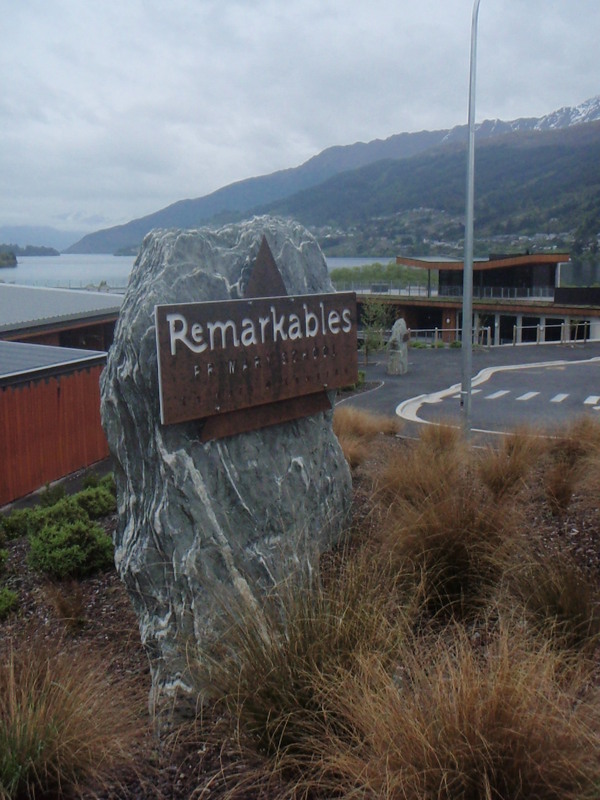 Remarkables Primary is nestled into the shore of lake Wakatipu, one of the most beautiful places in New Zealand. In so many countries a public school on a piece of land so stunning would be unthinkable. The land would have long since have been on-sold to developers to build a high-end hotel. In fact there’s a Hilton literally the next bay over from the school. 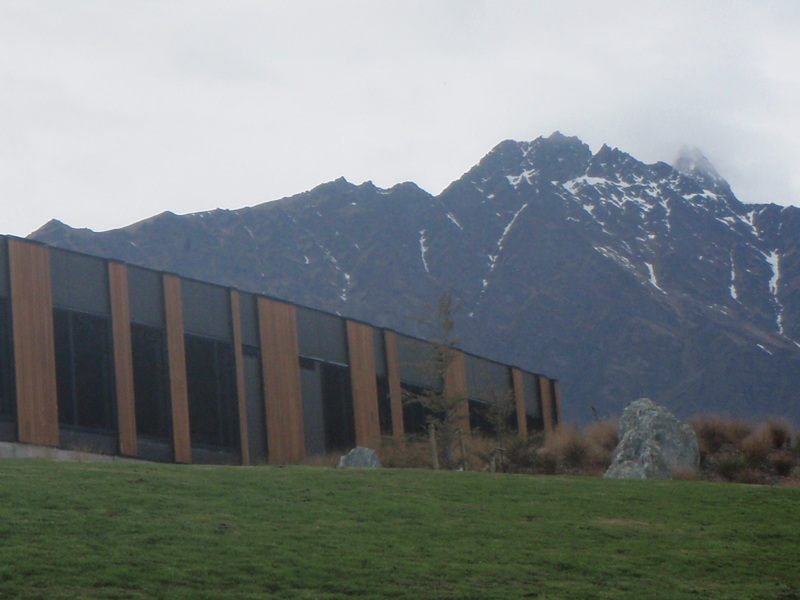 Unfortunately the weather was a bit dreary and my photography a bit too mediocre to capture how stunning Remarkables school and surrounding scenery are. 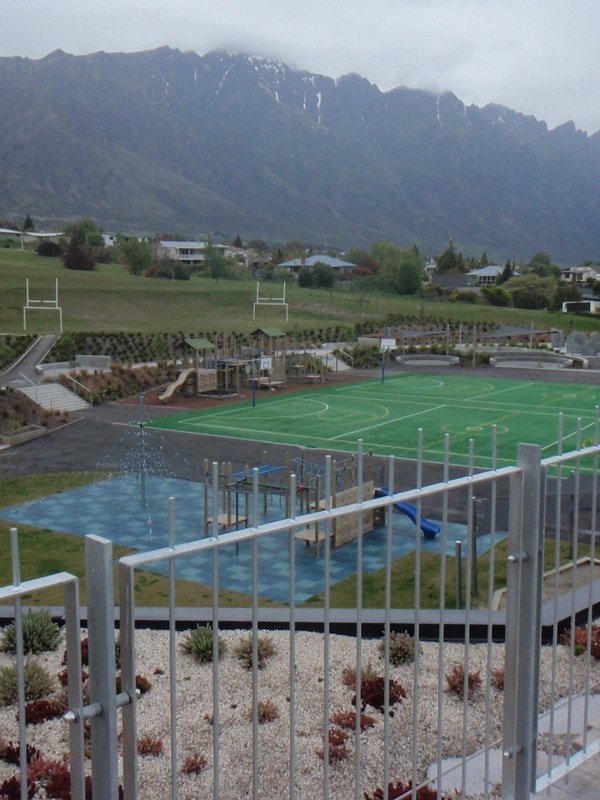 Remarkables Primary takes it name from the mountain range overlooking Queenstown. There’s a ski field on the other side of the mountains. When I went to school in Queenstown, our weekly Physical Education classes were ski classes on one of the local ski fields. 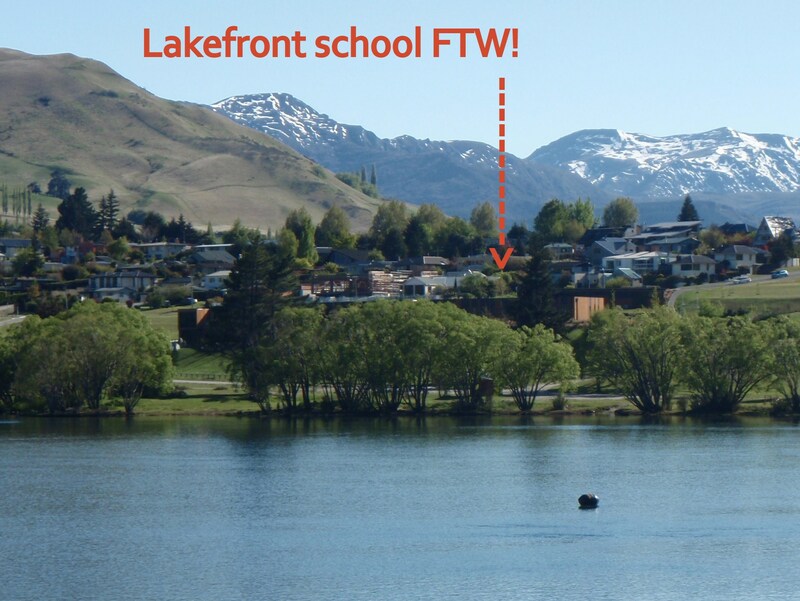 What I love about the design of the school is the way it folds into the sloping bank of the lake. 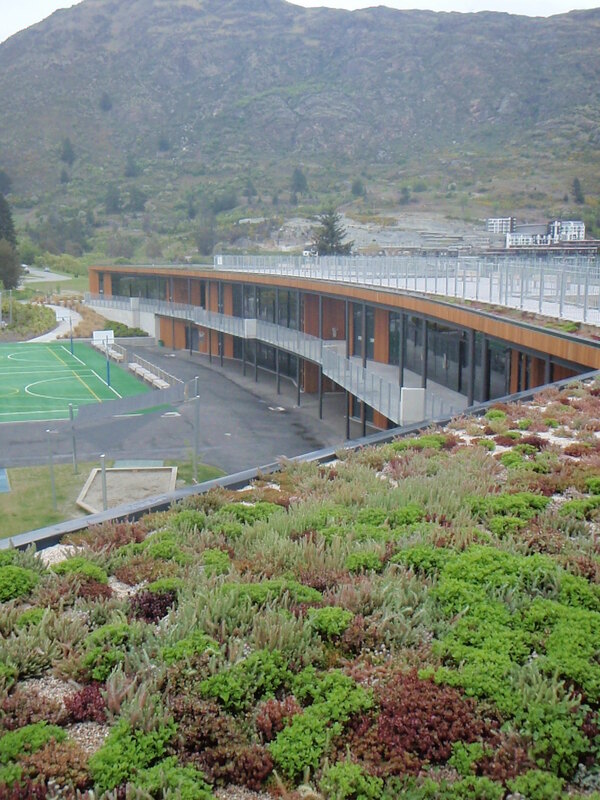 The roof is a living roof which is open for students to play on during breaks. 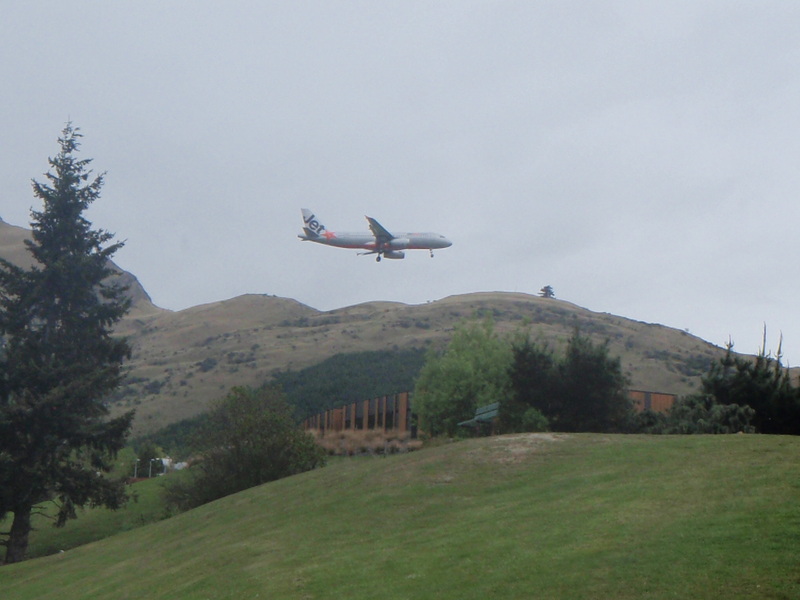 The only downside is that school is so close to Queenstown Airport that you can see the pilots picking their nose on final approach. And have the mountains on the other side. I can’t think of a more beautiful place in the world to be a school student. Anyone up for organizing an EducampQtn? Def keen to join you there for a EducampQtn! Who do we know in Q’town to help pull it off? Or more specifically at Remarkables school? I couldn’t agree with you more! Makes you wish you could teach there too! 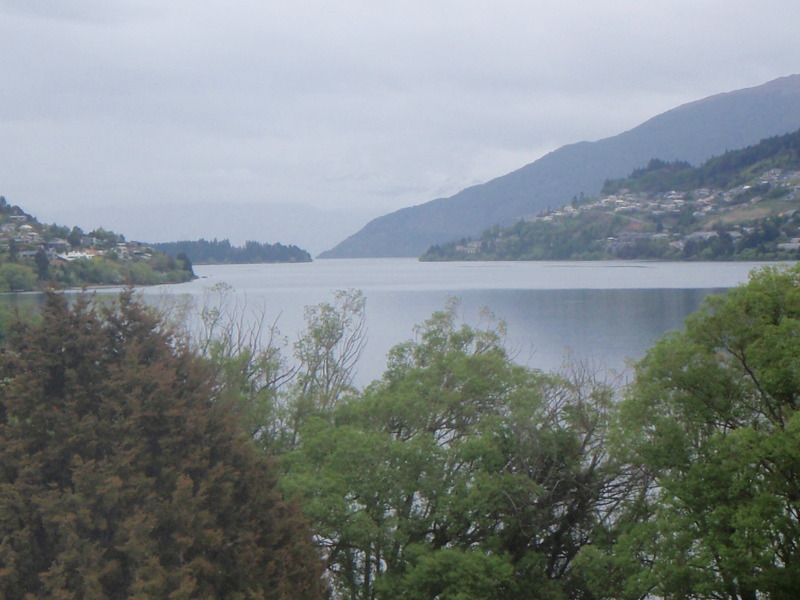 I love the South Island and especially Queenstown and want to also comment on the great job you do in your blog of drawing in the readers – like me! All the best for your prep for the new job too! I hear that they are opening a new school in q’town so keep an eye out. Thanks so much for your kind words I do enjoy blogging. Yes I have to agree this is one of the most beautiful schools in the country. May I also suggest some schools on the West coast that have stunning views and some of the biggest adventure playgrounds to explore. I have yet to venture out to the west coast but it sounds beautiful.